The Post-Event Survey tool has been updated. These updates are backward compatible to all version 5 events. To v4 users: if you upgrade to version 5, you will have this new tool. 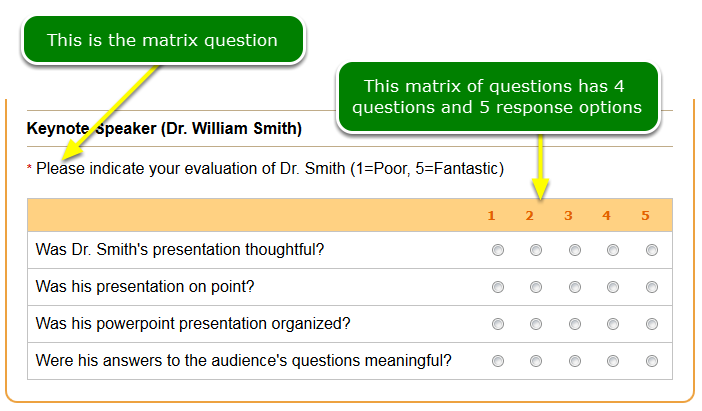 Now you can define rows of questions that all share one set of responses. When you enter your matrix question, be sure to include your "scale." Instead of a numeric scale (shown below), a word scale would be "Very Satisfied," "Satisfied," "Very Unsatisfied." Most of the time, a word scale is self explaining. 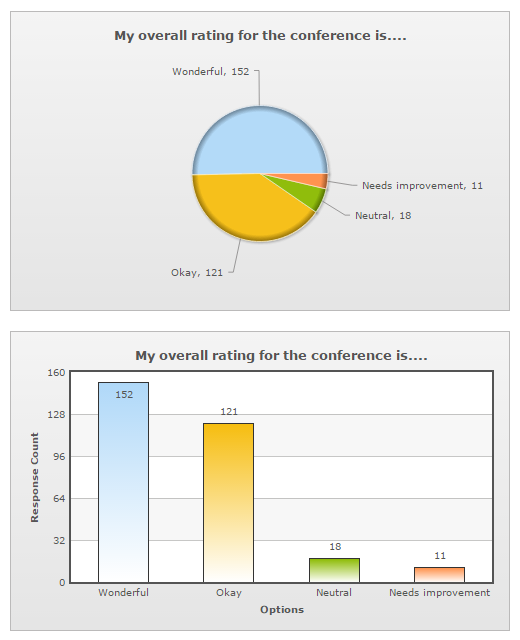 The good news, the colors in the pie and bar graph are the same for like data points.